reward you with an $100 cash prize. Draw our second two favorite designs in one of three categories (logo, t-shirts, posters) a we’ll give you 1, 2 and 3. Half Hills Music Festival was named after the “cut-in-half” hills that make room for Route 2 as it scoots along the Ohio River, past Steubenville, our home. The hills are a paradox. On the one hand, they are a sign of the rudeness with which man treats nature, the trials and tribulations of industry, the cliff-face hardness of life in the Rust Belt — a symbol our city’s current struggles with poverty, unemployment, the opioid crisis…and everything else. On the other hand, the half hills are beautiful. Seeing them light up orange and red in the morning sun; walking over Market Street Bridge and feeling them loom large like some mythical, sleeping giant; standing on top of them, peering out from West Virginia over the Ohio River like you’ve reached the earth’s end — they are a symbol of promise. They look out over our city and remind us of Steubenville’s great sons and daughters who look over us today. Squish those two opposed symbols together and you’ve got the goal The Harmonium Project (and all the wonderful people working to revitalize Steubenville’s downtown): to bring beauty out of pain, light out of darkness, a functioning, friendly, forward-thinking economy out of the ashes; to build a city of music and art, a city for the young and the old; “a city intelligent, a city beautiful, a city orderly, a city brotherly” (to quote Rabbi Rosenbloom’s 1926 speech to our chamber of commerce). Whether or not you want to feature the hills in your artwork makes no difference to us — so long as, whatever you draw, it includes something of their meaning; something of revitalization, building-up, rising, bringing together, organizing; something of our dawning hope and burgeoning joy; something of the growing movement to take back our city into careful hands and breathe new life into the marvelous legacy that has been entrusted to us. To submit, send a clear photo of your work to theharmoniumproject@gmail.com by midnight on August 25th. Use any medium you want, but remember — we need to be able to make clear digital copies of your work to be able to use it. Chalk on sidewalk is a hard medium to translate into a killer t-shirt. No copyrighted images. Don’t put AC/DC on our logo. No one wants to get sued by AC/DC. For the wild artists among you. 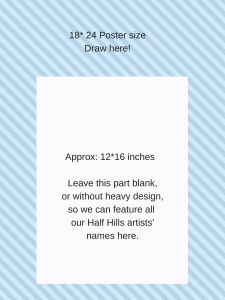 As long as you get “Half Hills Music Festival” on top and leave us a 12*16 space to feature all of our our musical acts, you can fill the 18*24 poster with whatever you like. The Ohio River teeming over with Loch Ness Monsters grooving out to Jamiroquai’s Return of the Space Cowboy? A soviet-style mural of the original operations of the Steubenville Brewery? Whatever is in your heart — let it out. 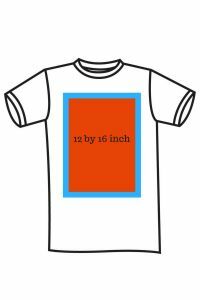 Include the words “Half Hills Music Festival” in a design that fits in a 12*16 inch rectangle — but you don’t need to make the design itself a rectangle! For the minimalists. we’re looking for a striking image to serve as the logo for Half Hills Music Festival. It could be a city landmark, a national bird — or just something that you associate with Steubenville and the hope of urban revitalization. The logo should fit in a 5*5 square. Happy drawing, friends! Don’t be afraid to use other music festival art for inspiration!